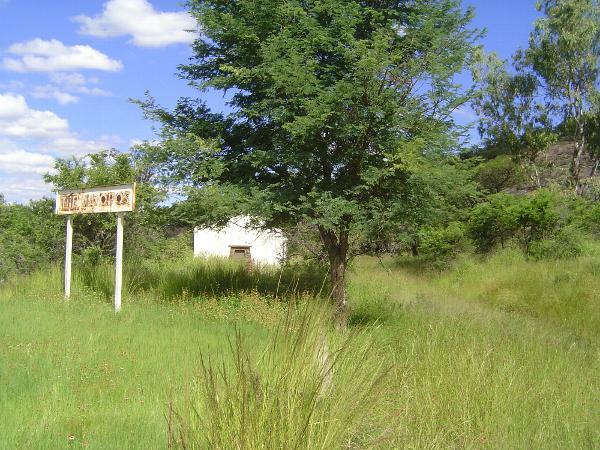 We've come ten miles outside town to an abandoned station called The Matopos. The track is gone, but the alignment can still be seen on the right. There's also a stone monument in front of the building.